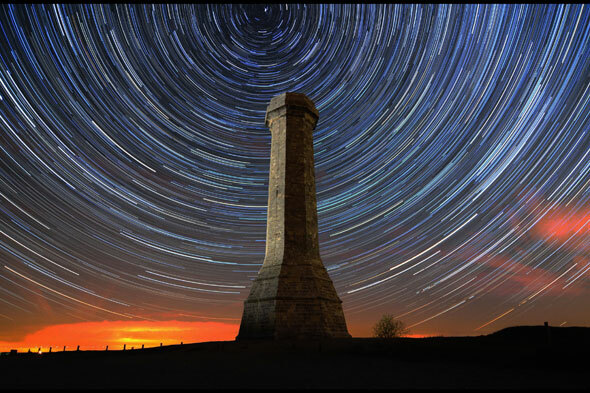 These incredible photos of the sky at night were taken by amateur photographer Stephen Banks in and around his home county of Dorset. Using exposures of up to 30 seconds, his unusual shots give an dark, eerie feel to the scenes, shot near some of Dorset's most famous icons, including the Hardy Monument and Portland Bill. Stephen, who taught himself to take photos by reading an instruction manual, said he chose remote areas with low light pollution to take his pics. He often waited for hours to capture his shots. He wants other photographers to contribute to his 'Dorset By Night' project. "I'd love to collect other photos from different photographers," he said. You can watch Stephen's video tutorial on time lapse photography at youtube.com/dorsetbynight.